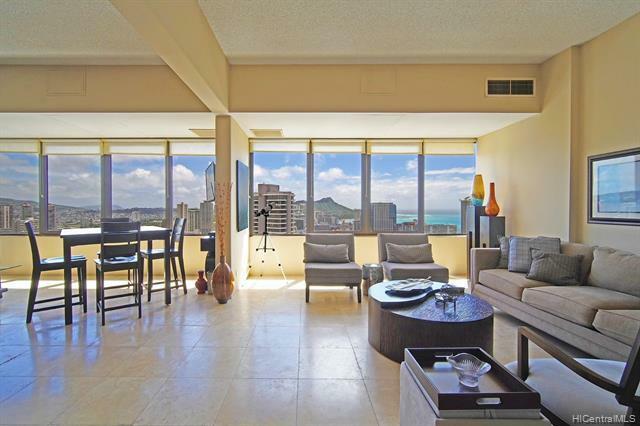 Highly desired rarely available Penthouse at Chateau Waikiki. 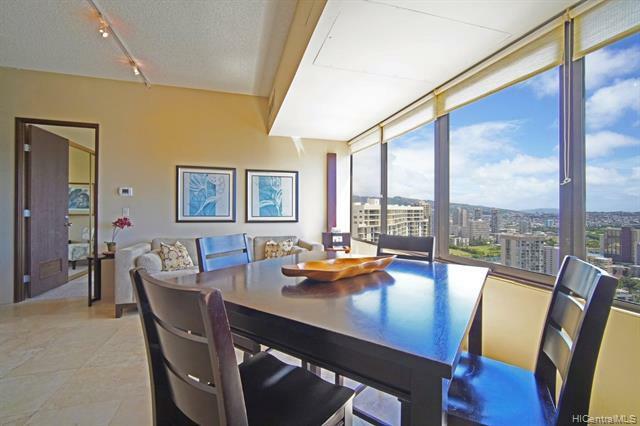 Enjoy beautiful panoramic Ocean and Diamond Head views from all rooms. This Modern 2 bedroom 2 bath was completely & beautifully renovated. Home features open living/dining areas spacious kitchen, high end appliances with 11-foot High ceilings and central A/C. Super well managed building that just has undergone extensive renovation & modernization with Resort like amenities and 24-hour security. 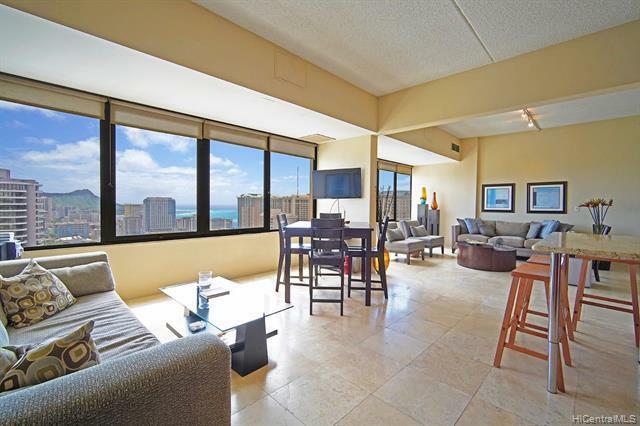 Conveniently located on the west end of world famous Waikiki with short walk to the beach, dining, bus line and easy in/out to the airport and downtown. 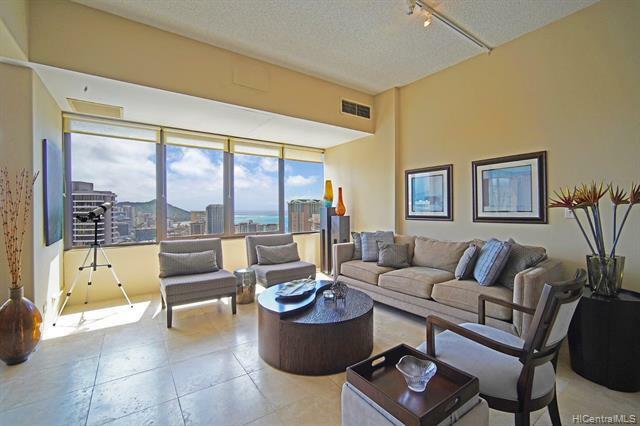 This home is being offered "Turn key" furnished, ready to move in and enjoy a beautiful Hawaiian sunrise over Diamond Head and spectacular Friday night fireworks.